The #xrayoftheweek is these two CT images, in the axial and coronal planes. These images are from a case report that we recently published in BJR case reports. 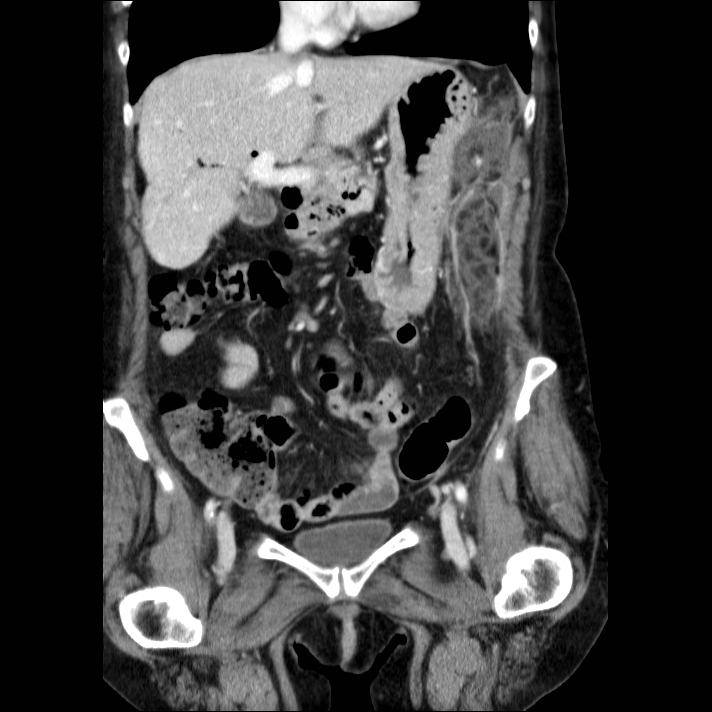 This middle aged woman with a history of diverticular disease presented with left iliac fossa pain and vomiting, so a CT was requested for the assessment of diverticulitis. 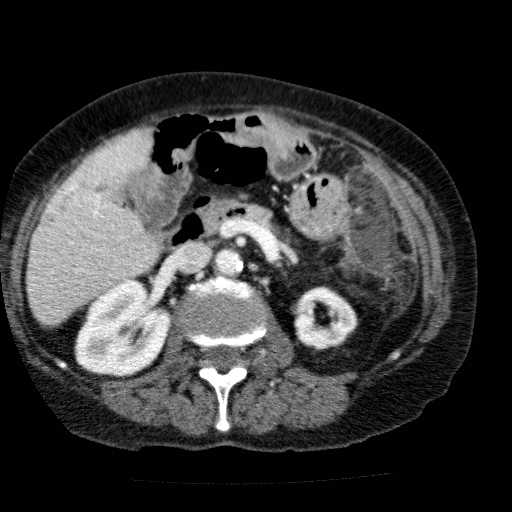 What alternative diagnosis do these CT images show? The full details of this case are over at the open access article in BJR case reports. 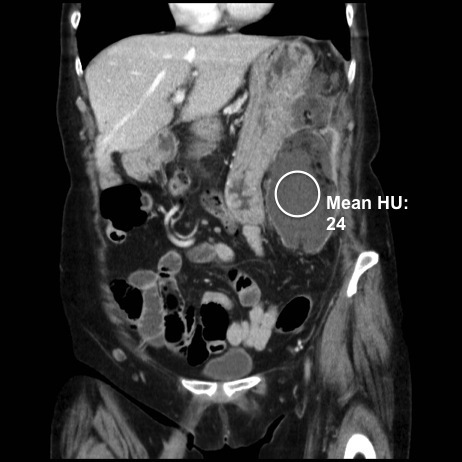 In summary, the scan shows a large mass within the upper abdomen in close proximity to the pancreatic tail, with central fat density, marginal enhancement, a distended vessel coursing through the centre and hazy increased density of the fat outside of the structure. 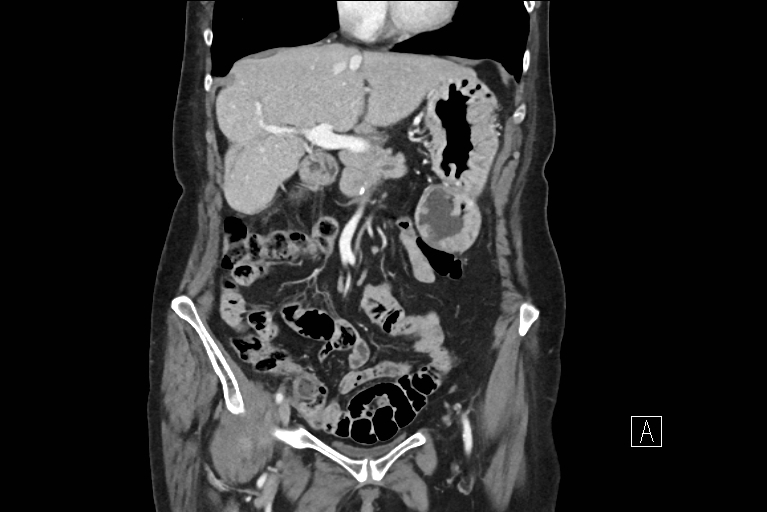 A diagnosis of intra-abdominal focal fat infarction (IFFI) was made and she was treated conservatively. 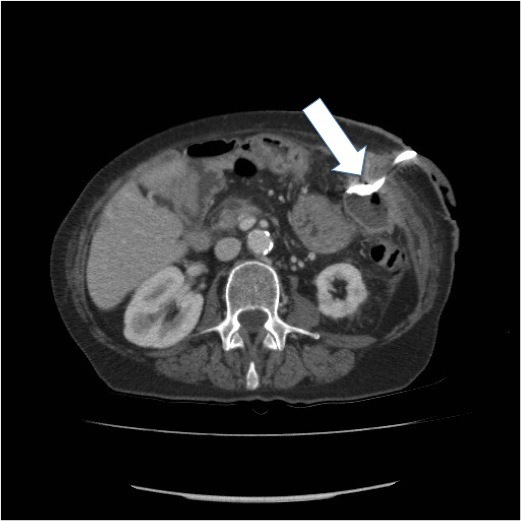 Radiologically guided percutaneous drains were inserted into the area of liquefaction and subsequent microbiology analysis revealed mixed coliform bacilli; targeted antibiotics were administered. The collection resolved on subsequent imaging. Identification of radiological features of IFFI is very helpful in establishing a diagnosis and may negate the need for surgical intervention.